Yanshan Petrochemical paid a power plant RMB one million for a 20,000 ton quota of carbon dioxide emissions, on November 28, 2013. This marked the official launch of the Beijing Carbon Trading Market. What's more, it signaled that "energy conservation and emission reduction" has moved on from being just a slogan to become a key issue, encompassing profits, cash flow and investment. 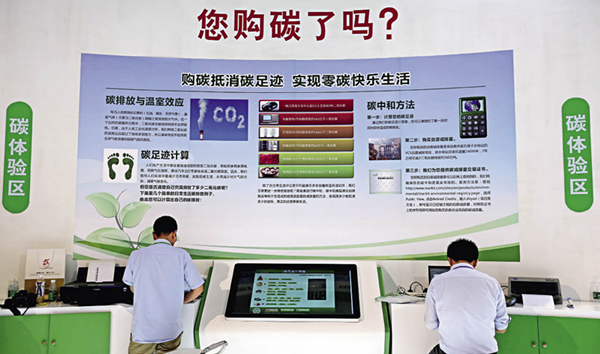 The Beijing Carbon Trading Market is one of seven pilot markets in China. In June 2013, China's first carbon market was officially launched in Shenzhen, followed by Shanghai, Beijing, Guangdong Province, and Tianjin – all in the last quarter of 2013. The newest two pilot markets, Hubei and Chongqing, are making intensive preparations. The five markets in operation have established registration systems and trading platforms, as well as detailed supportive regulations including accounting and reporting guidelines for greenhouse gas emissions of enterprises in major industries, third-party verification guidelines, and trading rules. They started a carbon-emission trading system in China from scratch. "We will realize the goal of controlling greenhouse gas emissions through market mechanisms, allowing the market to play a decisive role in resource allocation. This will reduce the social costs of energy saving and carbon reduction, propel institutional innovation and accelerate transformation of the development mode," Su Wei, director general of Climate Change Department in the National Development and Reform Commission (NRDC), told China Today in an interview, "It is of great significance in boosting overall reform and ecological progress." After conducting a survey and calculations, Yanshan Petrochemical found it could get a carbon dioxide discharge quota of about 3.91 million tons a year, which is expected to drop from 2013 to 2015 by 2 percent on a yearly basis, representing 70,000 to 80,000 tons of emissions. As a heavy industry, however, Yanshan needs to expand and transform its operation, as well as install new equipment to increase production, which would definitely result in increased energy consumption and carbon emissions. In the new carbon trading market, rigid emission-reduction policies have turned into a market-driven system. Under this system, companies have two options: either pay for extra carbon quotas every year, or introduce energy-saving technologies to reduce energy consumption. Visitors try the simulated carbon quota purchase procedure at the Guangdong Carbon Trade Market stand at the China (Guangzhou) International Finance Expo. Choosing the former involves higher and higher costs; while choosing the latter means companies would need to close down outdated production facilities and improve technologies, which would give rise to expenditures, but in the long run could increase productivity as well as gain better social benefits. After researching the carbon market system over the last couple of years, Yanshan Petrochemical took the initiative to look for "black holes" in energy consumption. It has recycled waste heat, optimized the steam system, carried out technological renovations and adopted information technologies to sharply reduce energy consumption. "Environmental protection cannot only rely on government subsidies, or administrative commands, or fines," said Qian Guoqiang, strategy director of Sino Carbon Innovation Investments, "We should introduce a market mechanism. Nothing but the constant power of the market will provide a fundamental solution to improving company environmental awareness." 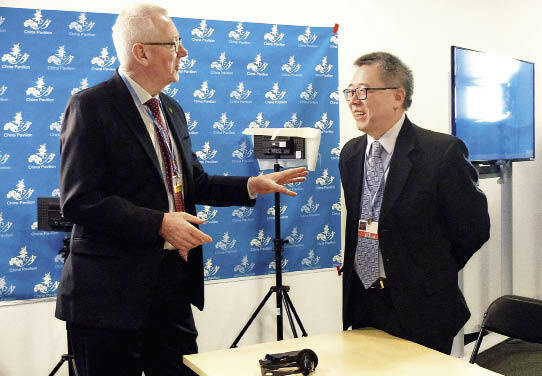 From as early as 2005, when he worked at the Ministry of Foreign Affairs, Qian has engaged in international negotiations on climate change and domestic policymaking. He co-founded Sino Carbon in 2010, aiming to promote low-carbon development in China. In 2013 he was elected a member of the Joint Implementation Supervisory Committee (JISC) for the United Nations Framework Convention on Climate Change. Qian has witnessed the entire process of China's construction of carbon trading markets in the last decade. He observes that some companies are shortsighted, as they see the carbon market as a burden, rather than actively adapting to the new trend and rules. In reality, emissions reduction is directly related to a company's efficiency and innovation capacity. "If others use only three units of resources to produce an item and you use five," Qian said, "without competitive advantage, the market will eliminate you." Thus far, the EU, New Zealand, Australia, Japan and California in the U.S.A. have adopted the carbon market system. Qian believes that carbon emissions will become a key product data in the future, and once foreign markets have a relatively mature mechanism they may even set up trade barriers in the name of carbon emissions.